San Francisco-based Unity revealed a concept video for its futuristic VR creation tools that would allow people wearing VR headsets to essentially “play” cards that turn into parts of a virtual world. Last month, UploadVR exclusively broke the story about the Carte Blanche project from Unity but now we’ve got our first look at how one of the leading VR experience engines eventually sees the system functioning. Check it out in the video above — which doesn’t show a person wearing a head-mounted display because it’s a concept video. Unity’s Timoni West also took the stage and used Oculus Touch controllers to show progress with editing a scene in VR. 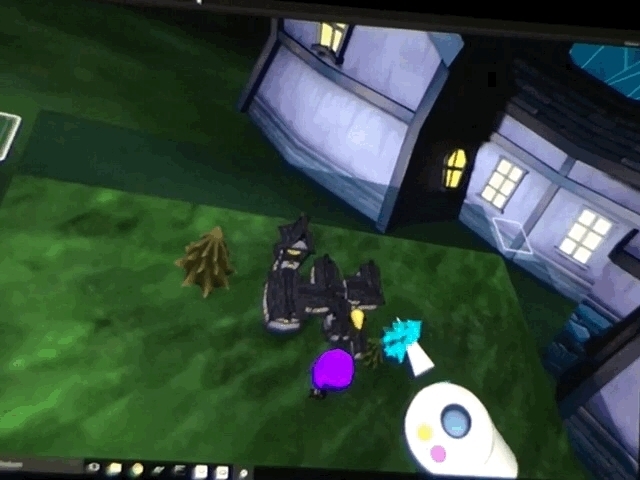 The editing tools also work with HTC Vive. A kind of chessboard interface has been added by the Labs team that’s a miniature version of the world around you. Placing a piece on the “chessboard” also populates full-size pieces in the world around you. The revelations show both relatively near-term and long-term concepts for creating virtual worlds while immersed in VR that call upon behaviors we’ve learned as children. One of Unity’s core tenets is to “democratize game development” but the new tools look like giant steps toward democratizing reality creation. Unity also revealed more than 1 million people use the Unity personal edition creation toolset on a monthly basis. Unity previously said it has 4.5 million registered developers, but the 1.1 million people Unity CEO John Riccitiello said use the personal edition on a monthly basis suggests, should VR take off as a medium, the number of active game developers with easy access to an increasingly powerful VR development pipeline is huge. Previously, Oculus co-founder Palmer Luckey said roughly 90 percent of the software available to download from Facebook’s VR company is made using Unity tools. Combined with the upcoming in-VR editing tools, which don’t have a release date yet, Unity is poised to ease the transition to VR development for a growing number of people. “Having a common platform and having common goals help us us all push the medium forward together,” said Vicki Ferguson, lead programmer at Ubisoft working on Eagle Flight. We’ll keep following Unity and its chief competition, Epic Games and its Unreal Engine, closely as the two companies work toward the easier creation of virtual worlds.